Let’s start by saying how much we love infographics, and follow up by saying that infographic submissions do work, provided you take incredibly laborious steps to do it right (stay tuned for an upcoming blog on that). However, we can guarantee there is one way to do infographic submissions wrong: Using a paid infographic submission site. This is an excerpt from communication with an infographic site I reached out to based on advice from a list (not our list of infographic submission sites, although that also needs updated). Located in India, I submitted for the sake of submitting, only to receive an email requesting $120.00 to be “featured” to 100,000+* monthly site visitors. *Author’s Note: Estimated visitors was actually closer to 23,000 monthly (StatsTool). For $120.00, you could reach a targeted audience on Facebook of 49,000 to 130,000 people (Boosted post), or an insanely targeted group of nearly 20,000 LinkedIn users. Understandably, I declined his offer to feature my infographic on his site. Yet his site is in no way alone. According to Gnuworld, here are some of the common pricing structures for once (some still) popular paid infographic sites. Pay money, get links! Sound sleazy? It is! Let’s start with the most obvious reason: They’re paid links. Two (2) links may be used with supplied text (Choose your own keyword-stuffing adventure). Your Infographic is shareable and brandable + we will deliver 2 strong backlinks to your site. You’re getting PageRank passed from a muddled, irrelevant site (See Irrelevant Keywords). If you want to learn a lot about how Google’s Penguin update works, your paid infographic submission will allow you some firsthand experience. This said, seek out your niche. There are niche sites for many industries. If you can pay for a nofollow or ad, it’s worth it for the brand awareness. We’d recommend something like Cloud Infographics for the cloud vendor. Even if you post to free infographic sites, it’s highly recommended that you rewrite every single title and description. I don’t mean small changes, I mean that submitting to 10 infographic sites should have 10 unique titles and 10 unique 50-500 word descriptions (One of my favorite submission sites uses Copyscape to protect themselves and those submitting). Did I mention that submitting Infographics the right way is an incredibly laborious process? If you’re really going to post to a paid infographic site (GUARATEED POSTING WITH BACKLINKS!!! ONLY $100 TO MY OFFSHORE ACCOUNT), there’s a good chance you’re going to become complacent. If you have $1,200 to submit one infographic that will be buried on the respective sites by next Friday, you can afford to hire a marketing agency that can create and submit for just a bit more per month (not to mention that the infographic will look better—our designers are awesome). If you find yourself talking to an agency that wants to pay for links (not advertise), run. If it seems too cheap to be true, it is. 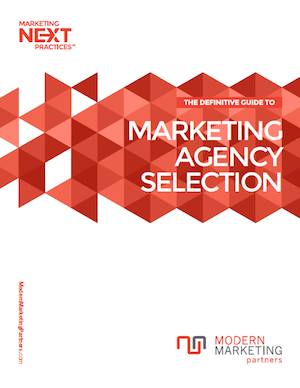 If you really want to find an agency worth working with, download the Comprehensive Agency Selection Guide. Let’s be honest. It requires a lot more thought than 1998 to make it to the top of Google. Why are you still marketing like it is? With the right content targeting, creation, and distribution strategy, even the smallest company can reach its audience. If you’re going to pay to submit an infographic, you’re wasting your money. From advertising to social media, content marketing to real SEO, We can help you. Learn how, and contact us today. Stay tuned for an upcoming blog, the insanely complex and laborious process to submit an infographic the right way. Download the Guide to Modern B2B Content Marketing today! Hey, I agree with your view. Most famous website demands a hefty amount of money to publish your infographics in the blog. Some Infographics are great in design and also in content, but because of money thing they don’t get the enough exposure. We, at http://goinfographics.com provide you a totally free platform to publish your valuable infographics. We are the lovers of infographics, and respect the designers and their creativity. so, we created it. Just go to our website and submit your infographics, it will be on our blog within 2 WORKING DAYS. 100% FREE SUBMISSION, with a DOFOLLOW LINK to the original source.